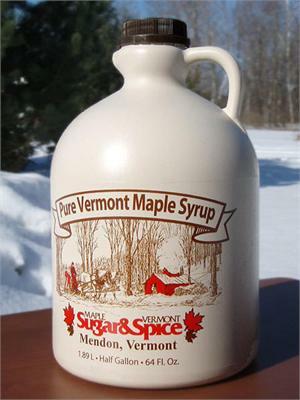 ALL Vermont Maple Syrup is of equal quality, sugar content, and density (thickness). The best grade of syrup to buy is the one the YOU like the best! The Vermont Maple Sugar Makers' Association and Vermont Maple Foundation provides the following definitions as a guideline. Amber color and rich flavor. Seems to be the most popular for all around use. A good choice for gifts. Dark color and robust flavor. Good for all around use. It's hardy flavor is a great choice for all kinds of recipes. Makes Vermont baked beans, breads, and cookies especially tasty.